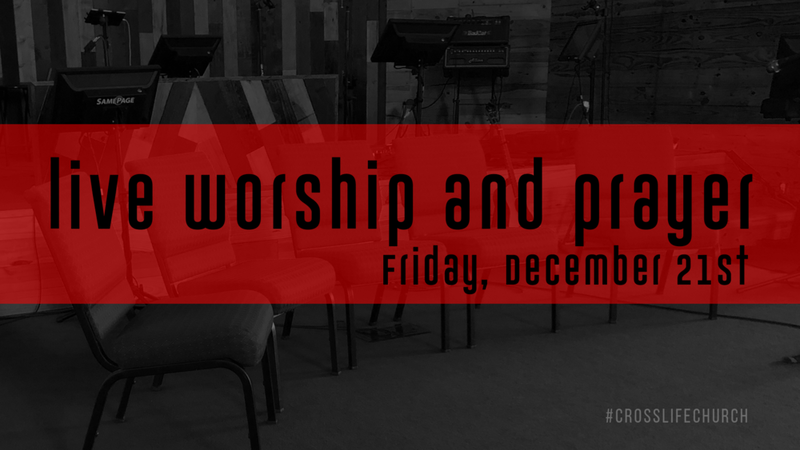 Join us on Friday, December 21st for an evening of prayer and worship at Cross Life Church. Prayer will begin at 7pm in the sanctuary. We will also be live streaming the prayer service on Facebook Live and Youtube.